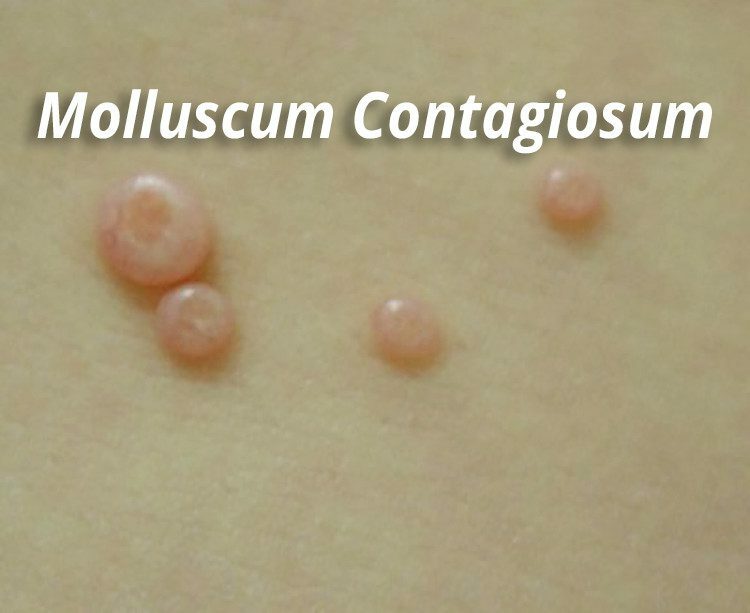 Molluscum contagiosum is a viral infection that results in the growth of a small (2-5 millimeters) pink bump. Molluscum is contagious but benign and generally disappears within a few months without treatment, and is most common in children. However, in immunocompromised individuals, such as those with HIV or organ transplants, this infection can cause many disfiguring lesions and can result in conjunctivitis if it appears on the eyelid. Most molluscum infections require no treatment. In fact, treatment should be avoided if possible because most treatments carry a small risk of post-inflammatory hyperpigmentation or scarring. However, if treatment is desired there exist many options. Most treatments involve stimulating the body to fight the infection by irritating the lesion. This irritation triggers an inflammatory reaction – activating the body’s immune system and thus healing the lesion. This can be achieved through the use of topical agents such as imiquimod, cantharidin, tretinoin, bichloracetic acid, salicylic acid, lactic acid, glycolic acid, silver nitrate, and potassium hydroxide. However, these creams are often reserved for more severe cases, as the same effect can be accomplished by simply poking the lesion with a clean needle. Another very successful treatment is removal using a curette – a quick and almost painless procedure. Antiviral therapy has been successful in treating severe cases of molluscum but is usually reserved for immunocompromised AIDS patients.